The post Okeechobee Fishing Guides-Okeechobee Fishing Report 10/29/2018 appeared first on Lake Okeechobee Bass Fishing at it’s BEST! Top Fishing Guides. The post Okeechobee Fishing Guides- Okeechobee Fishing Report 10/27/2018 appeared first on Lake Okeechobee Bass Fishing at it’s BEST! Top Fishing Guides. 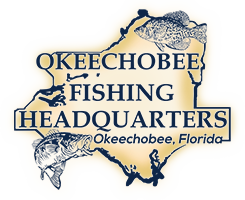 The post Okeechobee Fishing Guides- Okeechobee Fishing Report 10/11/18 appeared first on Lake Okeechobee Bass Fishing at it’s BEST! Top Fishing Guides. The post Okeechobee Bass Fishing- Okeechobee Fishing Report 10/9/18 appeared first on Lake Okeechobee Bass Fishing at it’s BEST! Top Fishing Guides. The post Okeechobee Bass Fishing- Okeechobee Fishing Report 10/10/18 appeared first on Lake Okeechobee Bass Fishing at it’s BEST! Top Fishing Guides. Okeechobee Fishing Report 10/8/18 Day 3 with Andrew and his dad Kevin and Andrew lands this 6 lbs 7oz. lunker! The wind was howling 25mph today but we caught several fish this being the biggest of the day and the biggest of the trip. Thank you for coming guys and look forward to seeing you next year! The post Okeechobee Bass Fishing: Okeechobee Fishing Report 10/8/18 appeared first on Lake Okeechobee Bass Fishing at it’s BEST! Top Fishing Guides. Andrew and His dad Kevin enjoyed a beautiful day on the lake catching 20 nice bass today. The fishing was a little tougher in the 20 mph wind but we made it happen for them. They will be fishing 2 more days so lets see what else is to come for Andrew and Kevin! These fish were caught on Large Okeechobee Wild shiners! The post Okeechobee Bass Fishing: Okeechobee Fishing Report 10/6/18 appeared first on Lake Okeechobee Bass Fishing at it’s BEST! Top Fishing Guides. The post Okeechobee Bass Fishing: Okeechobee Fishing Report 10/3/18 appeared first on Lake Okeechobee Bass Fishing at it’s BEST! Top Fishing Guides. This great couple Nate and Nicole Harvey were celebrating their Honeymoon with Okeechobee Bass Fishing and what a day they had! They caught nearly 40 bass along with the 4 beauties all on live wild shiners. They are on the last leg of there trip and have already vowed to come back and catch some more GIANT Florida Large mouth with Okeechobee Bass Fishing Guides. The post Okeechobee Bass Fishing: Okeechobee Fishing Report 10/4/18 appeared first on Lake Okeechobee Bass Fishing at it’s BEST! Top Fishing Guides.